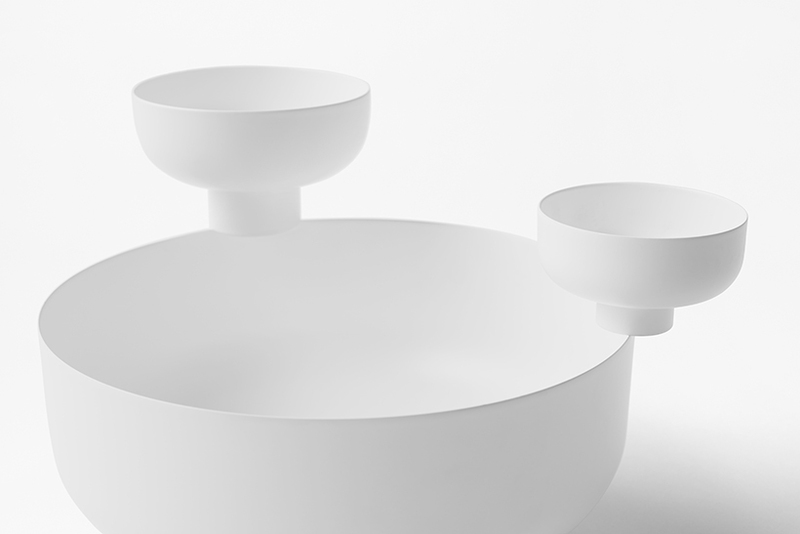 Nendo, to finalize your perfect table wear this Christmas, designed a set of seven bowls for food or objects that can be arranged in various combinations. When combined, the bowls almost appear as if “one is growing out of the other, or sprouting from the edge of another, reminiscent of the growth of mushrooms”. Thank to the variant dimensions, they can be used in many ways, for serving food or as an interior piece. Larger bowls to serve fruits, smaller ones for sauces or dips, deeper bowls for flower arrangements, and shallower ones to float candles on water.